Protecting trademarks and other IP rights in the supply chain presents growing challenges to companies, in part due to increasing demand by unscrupulous traders seeking “genuine” product at low prices for sale online. Most OEM suppliers are not directly controlled by the IP owner. This compounds the difficulties IP owners face in monitoring factories for a range of violations, such as leaks of finished or semi-finished products, components, molds, trade secrets, etc., as well as deviations from agreed quality specifications. Perhaps the most common violation by OEM suppliers is the running of an extra shift, with apparently genuine product finding its way into local and international markets – sometimes offered at prices that are close to those for authentic products, and thereby making it harder to distinguish through normal monitoring. In extreme cases, leaked product will make its way into authorized distribution channels and in large quantities, thus severely undermining relationships with commercial partners. In many cases, leaked products will employ sub-standard components, thus undermining the trust of consumers in the brand. Set out below are several best practices for protecting IP in the supply chain in China. Many will seem extreme compared to those adopted in other jurisdictions. IP registrations. First and foremost, it is vital that relevant trademarks be registered in China, even if you have no plans to sell in the country. The failure to register leaves your mark open to registration by pirates (including OEM suppliers themselves), but also denies access to the full range of enforcement options (see our previous articles on this topic). Likewise, design patents should be secured where practical, both in China and internationally. While notoriously difficult to enforce through the courts, major trade platforms, including those operated by Alibaba and JD.com, are willing to take-down ads for clones of products that clearly infringe design patents. Due diligence. Thorough due diligence should be conducted on suppliers – before, during and after the relationship. 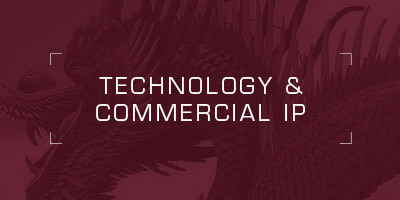 This includes the running of IP searches to see if the supplier or related companies and individuals have registered trademarks, patents or other IP rights of other companies in the past. Suppliers should also be required to disclose the identities of all sub-suppliers they plan to engage, with due diligence ideally conducted against each as well. Contracts. Ensure the supplier executes a suitable contract that sends a clear message regarding the IP owner’s resolve to protect its rights. The contract should, among other things, prohibit the registration of the buyer’s trademarks, designs or inventions, prohibit the use of unapproved sub-contractors, explicitly allow access to preliminary injunctions from local courts in case IP violations are detected, and impose a significant contractual fine in case of any violations by the supplier or its sub-contractors. Systems audits. Ask suppliers to provide a report detailing all of their procedures and processes for protecting against leakage of products, components and IP rights. If incomplete, insist they adopt best practices, perhaps introduced by external consultants. Compliance monitoring. During any manufacturing relationship, carefully monitor the factory, and conduct irregular, unannounced visits during any periods when your goods are being manufactured. If resources permit, have investigators visit suppliers posing as buyers seeking counterfeits to test their attitude towards compliance. Enforcement. In case of any violations, document the offending behavior through warning letters and pursue remedies in a timely and thorough manner, lest the supplier conclude the buyer lacks interest in protecting its IP. Dispute resolution clauses in sourcing agreements should have clear carve outs permitting applications for injunctive relief in China to halt specified material breaches (even if the overall choice of law and venue for other breaches is outside China). Post-termination measures. After ending a relationship with an OEM, take steps to prevent continuing manufacture of products, for example by retrieving molds, leftover labels, packaging and unique raw materials. Also consider having undercover investigators approach the factory to test its willingness to offer counterfeits. Sales restrictions. In distribution contracts, delineate restrictions in the distributor’s ability to source, advertise and sell products. Explicitly prohibit purchasing and reselling of parallel imports. Notice of suspicious activity. Require distributors to promptly report all evidence of counterfeiting and other IP violations by third parties. Restrict use of brands. Carefully restrict the use of brands, including Chinese-language trademarks, in unapproved ways, for example in domain names, trade names for online stores, retail signage and company names. Require that similar obligations be imposed on sub-distributors, and ensure that template agreements used with them conform to the main agreement. Buy-back of remaining stocks. Following termination or expiration of the distribution agreement, allow for the buy-back of remaining stocks to avoid dumping of product. Such product sometimes ends up being mixed with counterfeits, and interferes with normal monitoring and enforcement work. Many companies that adopt the above best practices fail to prevent problems from arising due to lack of follow-up after violations are detected. The failure to act is often due to the lack of will among commercial managers responsible for sourcing and distribution, some of whom worry about the consequences of enforcement to the business or themselves. In some cases, managers refrain from action on the assumption enforcement will ultimately have no impact. The simplest way to avoid such problems is to give responsibility for monitoring and enforcement to managers from outside the relevant business teams, and to likewise ensure that higher-level management is available to intervene in case of conflicts. IP violations are fairly predictable with supply chain partners in China. To minimize their impact on business, managers need to send a clear message of commitment – both internally and to supply chain partners – with the aim of deterring problems from arising or spiraling. This article originally appeared in the End of Year 2016 edition of Managing IP magazine.